LACREON® technology provides moisture and comfort. Visitint technology makes your lens easier to see. 1-Day Acuvue® Moist® contact lenses offer you all day comfort – even if you suffer from dry, sensitive eyes. Johnson & Johnson – one of the world’s leading healthcare companies – set the standard in contact lens comfort. 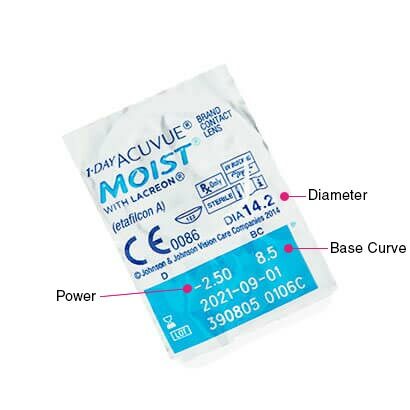 1-Day Acuvue Moist daily disposables are gentle on the eyes and will ensure your vision remains clear from the moment you apply your contact lenses to when you take them out at night. These gentle daily disposables feature LACREON® technology. 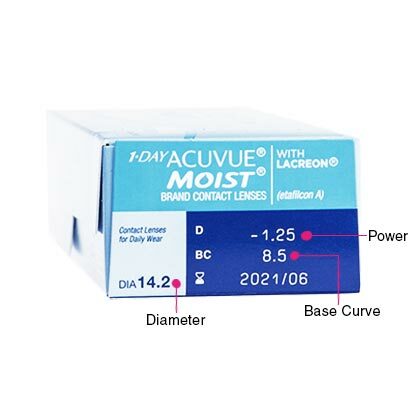 This maintains moisture on the surface of the contact lens. It means your lenses won’t dry out, and won’t wash away; keeping your eyes moist and pain free from morning until night. Inspired by the natural behaviour of tears, LACREON® technology locks moisture inside each contact lens, keeping them soft and comfortable. 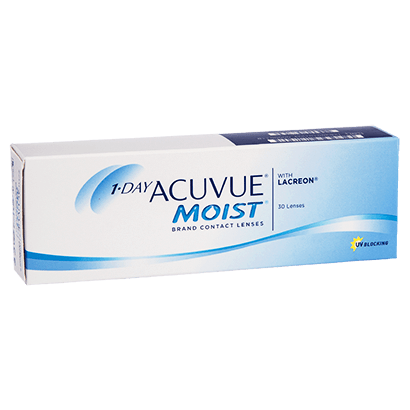 1-Day Acuvue® Moist also offers exceptional UV protection, which is important for long term eye health. With a daily replacement schedule that prevents the build-up of allergens and uncomfortable proteins – these are the contact lenses to protect your sensitive eyes. If you struggle with applying your contact lenses the 123 application indicator gives you a simple way of ensuring your daily disposable is the right way round. Never waste a lens again. Buy 1-Day Acuvue Moist contact lenses online at FeelGoodContacts.com for the best deals, and quick delivery.